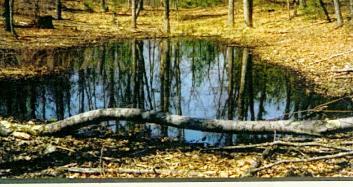 Are There (Vernal) Pools in Your Back Yard? Spring is here, with its special sights and sounds. breeding habitat – they are headed for vernal pools. in them, and don’t have an inlet or outlet that would allow fish to get to them. such as the Blanding’s turtle and the ringed boghaunter dragonfly. tend to green up earlier than the rest of the woods. The surviving eggs hatch within a few weeks, and tadpoles and larvae emerge. skunks and weasels and lots of others looking for food. summer habitat – that’s a long way for an animal that small! continuing cycle of life can take place. Keyword “vernal pools” for more information. State House Station, Augusta, ME 04333.